I waited to post the finished baby quilt for our grandson until after the baby shower. 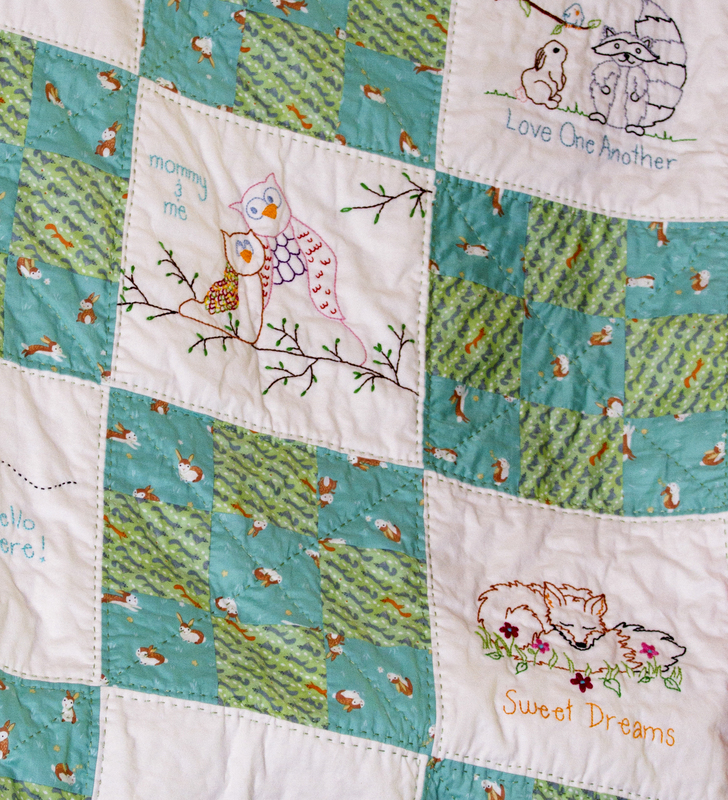 After all, the new parents should be the first to see their baby’s quilt. I used fabric from a collection called Critter Patch. 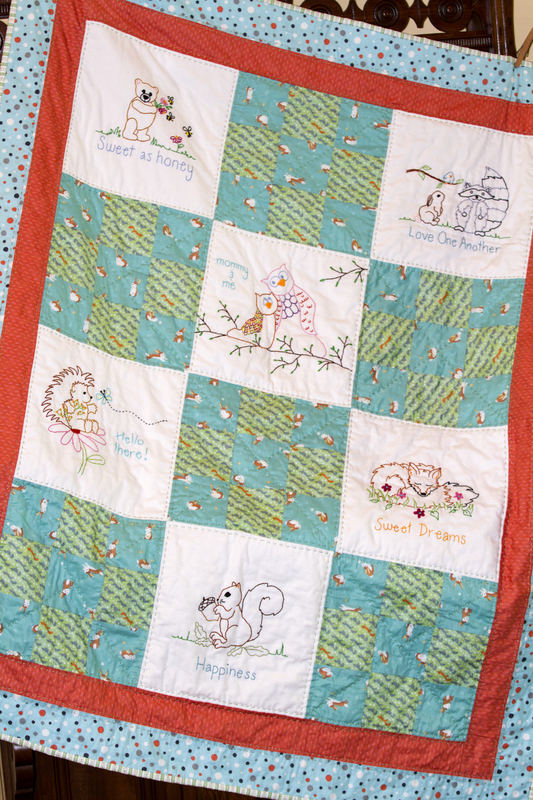 The nursery is decorated in a woodland theme and using the colors in the quilt. It is constructed with a simple nine patch block and the embroidered blocks. I used a burnt orange as a border and also sewed on a sleeve on the back so it could be hung on a wall. I quilted it using embroidery floss instead of the traditional quilting methods. Hope you enjoyed following along as this baby quilt progressed. 19 Aug	This entry was published on August 19, 2014 at 4:03 pm. 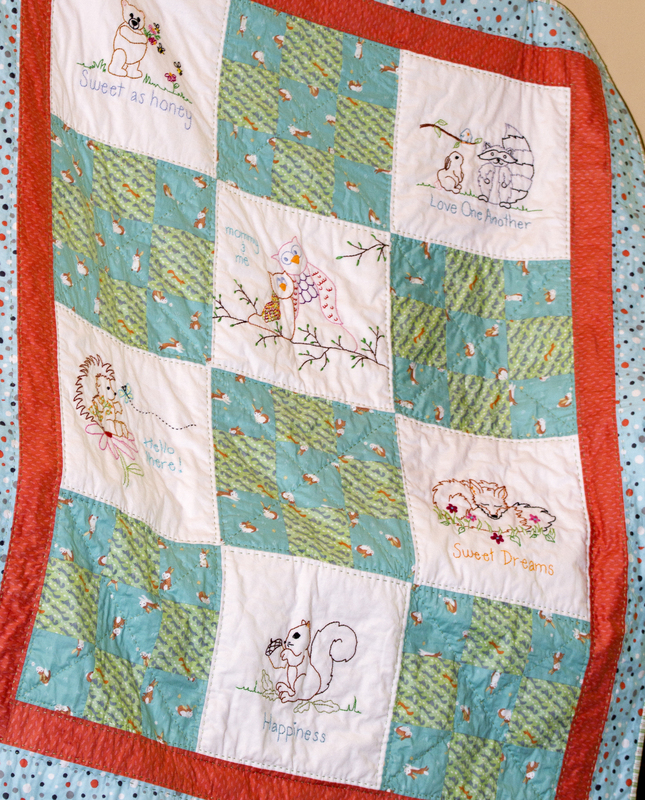 It’s filed under DIY, Quilting at the Cottage and tagged baby quilt, blocks, Critter Patch, embroidery, fabric, nine patch, quilt, quilting, sewing, Woodland. Bookmark the permalink. Follow any comments here with the RSS feed for this post. Thank you! I can’t wait for the little guy to get here.